Christmas Eve morning after cuddling in bed until very late morning, we made our final Holiday Cookie: Raspberry Shortbread Bars, Holiday Cookie #12. This recipe is from Food & Wine. I've made it several times before. SP really likes these. 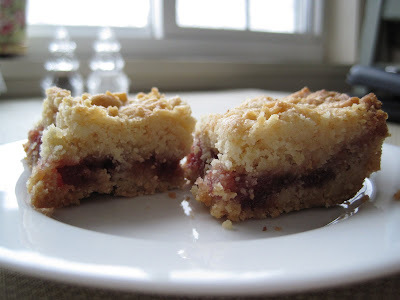 My sister-in-law also really likes these - one year I made them and took them to my brother's house for Christmas and his wife ate these cookies for breakfast every morning! The dough is pretty standard and easy. The 'hard' part might be separating the eggs, but after you separate eggs a couple of times, it is pretty easy. 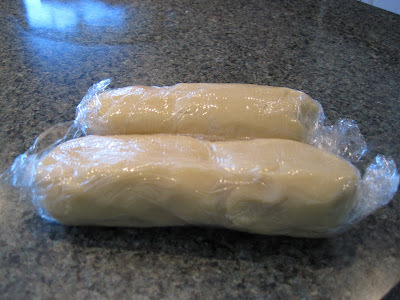 After the dough is mixed, it is divided into two logs and refrigerated for at least an hour. 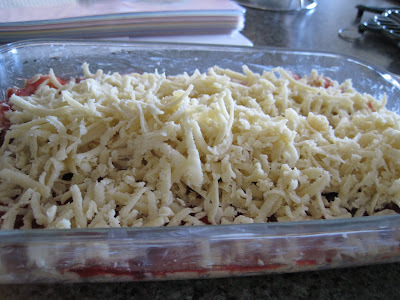 Before getting the dough out of the refrigerator, you need to butter an 11 x 8.5 inch glass baking dish. 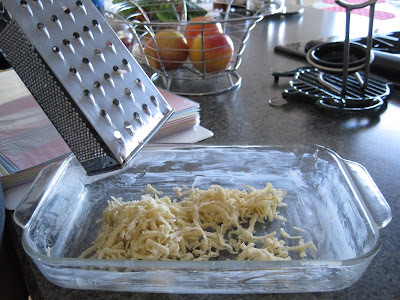 Then, you take one log and, using a box grater, grate the dough into an even layer covering the bottom of the baking dish. Next, spread the preserves on top. The recipe from Food & Wine uses raspberry but notes that any preserves can be used. Last year we used peach (I thought peach was just OK) and this year we chose cherry preserves. 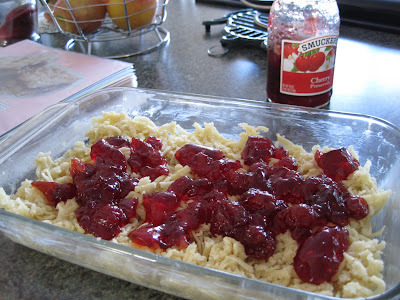 The second log is grated evenly across the top of the preserves layer. Then it bakes for about 35 minutes. 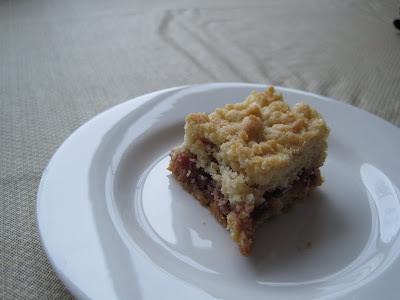 The nice thing about this recipe is that it is a bar cookie, so once all the dough is in the baking dish, you're done. No shaping of dough, no dropping by spoonfuls, no cookie sheets, no removing individual cookies and cooling on a cooling rack. 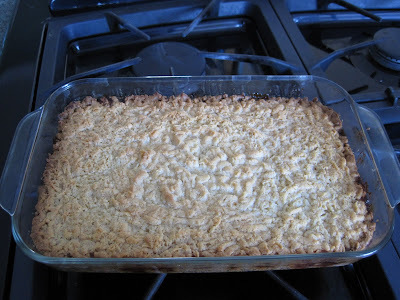 Just bake them all at once, remove, and cool in the pan until ready to cut into bars. Ours took a bit longer than 35 minutes, as it has in years past. The cherry preserves are quite delicious. Much better than peach. Yum!